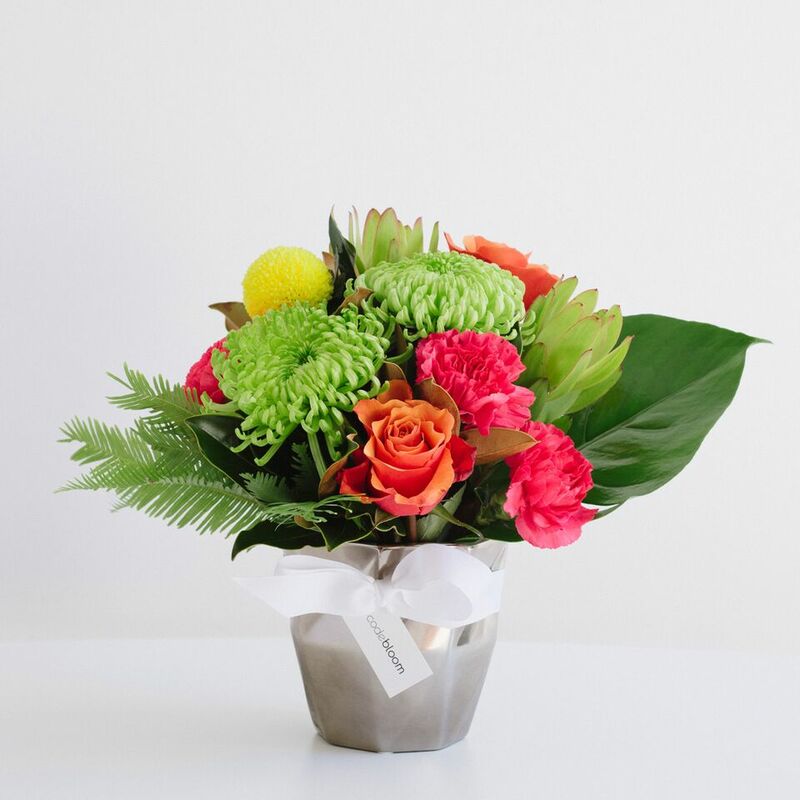 Pretty mix of seasonal colourful blooms arranged into a striking geometric silver vase with complementing greenery to suit. A mix so gorgeous it will delight anyone. The vase itself will be reused again and again.